Increased penetration of non-linear loads like power electronic converter based systems have aggravated issue of harmonic injection in the power system. Neutral current harmonics is an issue of concern for three phase four wire system. This paper is focused on the elimination of neutral current harmonics with the help of shunt active power filter based on star-delta transformmer and single phase half bridge inverter. The presented active power filter eliminates harmonics present in neutral current which in turn helps in mitigating third harmonics from the supply mains. The topology has advantage of reduced number of semiconducting devices and switching losses as compared to conventional three phase active filter. Simulation studies for the proposed active filter is presented and compared with behavior of conventional three phase active filter. Experimental results for DSP based laboratory prototype of the proposed filter are shown to substantiate performance of system. Both simulation as well as experimental results demonstrate effective compensation provided by single phase half bridge inverter based active filter. R. C. Dugan, M. F. McGranaghan, and H. W. Beaty, Electrical power systems quality, vol. 1. TATA Mc-Graw Hill India, 1996. T. M. Gruzs, “A survey of neutral currents in three-phase computer power systems,” IEEE Transactions on Industry Applications, vol. 26, pp. 719–725, Jul 1990. F. C. C. C. C. on Electrical Engineering, ed., Effects of Nonlinear Loads on Electrical Circuits and Equipment: Summary of a Symposium. No. 112, National Academy Press, 1991. I. J. Pitel and P. Enjeti, “Active harmonic power filter apparatus and method,” Oct. 22 1996. US Patent 5,568,371. B. Singh, K. Al-Haddad, and A. Chandra, “A review of active filters for power quality improvement,” IEEE Transactions on Industrial Electronics, vol. 46, pp. 960–971, Oct 1999. H. Akagi, Instantaneous power theory and application to power conditioning. John Wiley & Sons, 2004. T. A. Trivedi, R. Jadeja, and P. Bhatt, “A review on direct power control for applications to grid connected pwm converters,” Engineering, Technology & Applied Science Research, vol. 5, no. 4, pp. pp–841, 2015. D. Sreenivasarao, P. Agarwal, and B. Das, “Neutral current compensation in three-phase, four-wire systems: A review,” Electric Power Systems Research, vol. 86, pp. 170 – 180, 2012. L. SARIBULUT, A. TEKE, M. E. Meral, and M. Tumay, “Active power filter: review of converter topologies and control strategies,” Gazi university journal of science, vol. 24, no. 2, pp. 283–289, 2011. P. RodrÍguez, J. I. Candela, A. Luna, L. Asiminoaei, R. Teodorescu, and F. Blaabjerg, “Current harmonics cancellation in three-phase four-wire systems by using a four-branch star filtering topology,” IEEE Transactions on Power Electronics, vol. 24, pp. 1939–1950, Aug 2009. Y. Bouzelata, E. Kurt, R. Chenni, and N. Altin, “Design and simulation of a unified power quality conditioner fed by solar energy,” International Journal of Hydrogen Energy, vol. 40, no. 44, pp. 15267 – 15277, 2015. The 4th International Conference on Nuclear and Renewable Energy Resources (NURER2014), 26-29 October 2014, Antalya, Turkey. M. Ucar and E. Ozdemir, “Control of a 3-phase 4-leg active power filter under non-ideal mains voltage condition,” Electric Power Systems Research, vol. 78, no. 1, pp. 58 – 73, 2008. M. Kale and E. Ozdemir, “Harmonic and reactive power compensation with shunt active power filter under non-ideal mains voltage,” Electric Power Systems Research, vol. 74, no. 3, pp. 363–370, 2005. M. Izhar, C. M. Hadzer, M. Syafrudin, S. Taib, and S. Idris, “An analysis and design of a star delta transformer in series with active power filter for current harmonics reduction,” in PECon 2004. Proceedings. National Power and Energy Conference, 2004., pp. 94–98, Nov 2004. B. Singh, P. Jayaprakash, and D. P. Kothari, “Magnetics for neutral current compensation in three-phase four-wire distribution system,” in 2010 Joint International Conference on Power Electronics, Drives and Energy Systems 2010 Power India, pp. 1–7, Dec 2010. P. Jayaprakash, B. Singh, and D. P. Kothari, “Digital signal processor implementation of isolated reduced-rating voltage source converter using a zig-zag transformer for three-phase four-wire distribution static compensator,” Electric Power Components and Systems, vol. 39, no. 1, pp. 15–30, 2011. B. Singh, P. Jayaprakash, and D. P. Kothari, “A t-connected transformer and three-leg vsc based dstatcom for power quality improvement,” IEEE Transactions on Power Electronics, vol. 23, pp. 2710–2718, Nov 2008. C. A. Quinn and N. Mohan, “Active filtering of harmonic currents in three-phase, four-wire systems with three-phase and single-phase nonlinear loads,” in Applied Power Electronics Conference and Exposition, 1992. APEC ’92. Conference Proceedings 1992., Seventh Annual, pp. 829–836, Feb 1992. ISNAD JADEJA, Rajendrasinh , FALDU, Akash , TRIVEDI, Tapankumar , CHAUHAN, Siddharthsingh , PATEL, Vinod . "Compensation of harmonics in neutral current using active power filter for three phase four wire system". 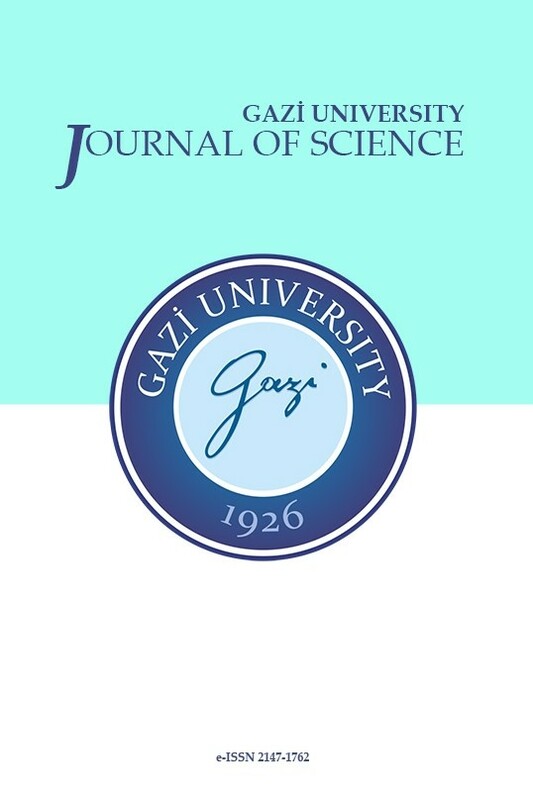 GAZI UNIVERSITY JOURNAL OF SCIENCE 31 / 3 (September 2018): 846-861.